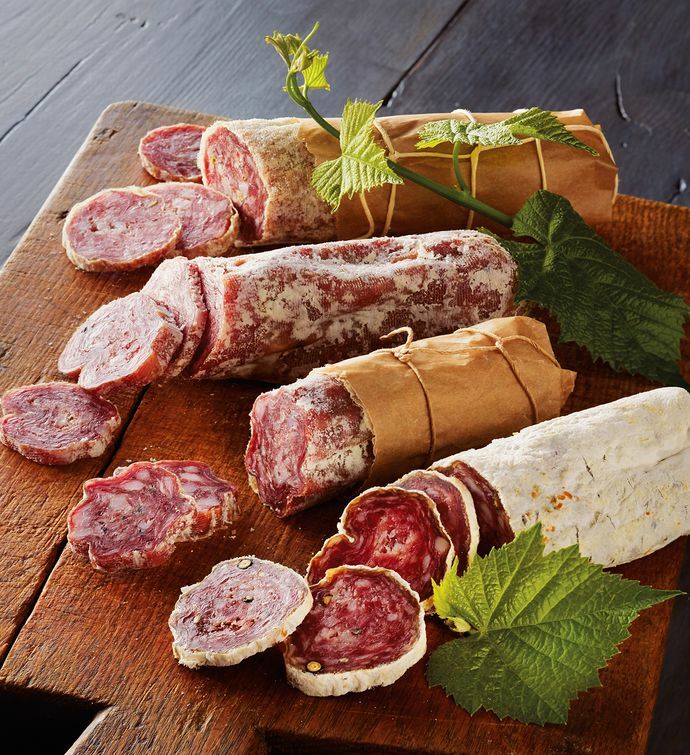 Ideal for the gourmet who loves meat , our Charcuterie Assortment features premium salami made by Olli, a well-respected salumeria with deep Italian roots. Enjoy four robust flavors: Napoli applewood smoked, Tartufo truffle, Molisana peppercorn and garlic, and Toscno fennel. Each is slow-cured and made with sustainably farmed, vegetarian pigs.